Pricing your products and ensuring you have built in sufficient margins to sustain your business is one of the most important decisions you’ll make. This brief guide will walk you through a simple process for combining standard markup pricing with market research, using a provided spreadsheet to determine the appropriate manufacturing costs, margins and pricing for your products. This is a personal lifestyle choice – but be clear on which you have chosen. As a craftsperson, you can be perfectly content creating handcrafted products in low volumes and selling them to a niche audience. If this describes you, you can ignore the rest of this post. You just need to cover your material and living expenses in order to continue doing what you love. However, if you are an entrepreneur with a vision of building a scalable venture, you need to understand and adhere to established business principles, such as standard markup pricing. Even if you’re small now, you need to plan for big. Combining standard markup pricing with market research. If you’re basing your price strictly on a multiple of your costs -also known as Standard markup pricing you’re starting at the wrong end of the equation. I strongly suggest starting with a target retail price and working backward to see if your product will be viable. You will still need to ensure you are able to generate a sustainable profit margin – thus the need for standard markup pricing – but you’ll be imposing an additional level of discipline by aligning your numbers with the reality of the marketplace. You will need to determine how the quality, features and benefits of your product measure up against both direct and indirect competition. By direct competition, I mean any other product that has similar features and is used to solve the same problem or address the same desire of the consumer. By indirect competition, I mean products that aren’t in your category but provide a similar outcome or function for the consumer (ie – a book vs. an e-reader). Make a quick spreadsheet listing each competitor’s name, product features and retail price. Next, plug in your target wholesale price at half of your retail price. You will now see your “retailer” margin at 50%. Adjust the freight and duty percentage as required. By default, it is set to 20% – which is a conservatively high ratio (SoYoung’s freight and duty is typically around 17% coming from China) . Before making any final decisions, you should validate this by talking to shipping and customs brokers. You can also use this estimator tool. Negotiate with your factory or suppliers. Now that you have a target cost, you can take this to your factory or use it as an internal target for producing your goods. If you are manufacturing internally, note that this number is just meant to capture your Cost of Goods: that is the cost to produce one unit of product. While it will include labor cost related to manufacturing, it should not include overhead costs associated with running your business such as administration, marketing or selling your products. Negotiate with retailers and distributors. Your target wholesale price is just that: a target. If you are negotiating volume transactions, retailers will typically ask for a discount. When they do, you can simply plug this into your spreadsheet to see how it affects your margins. If you’ve calculated for 60% margins, this will give you some room to maneuver and still make a reasonable profit. Distributors will expect at least a 20%-30% off your wholesale price – though sometimes they will be able to give you an order that can be taken directly to the factory (if applicable) and shipped straight to them, which reduces your risk and cost of carrying the products. You will likely have other selling costs such as marketing, paying commissions to sales reps, shipping merchandise and providing samples. Your business needs to generate a profit in addition to your salary in order to be viable over the long term. You will need to generate enough cash flow to continue financing the business. In the short term, you may be willing to settle for slightly lower than standard markup pricing margins as you build your volume up to a point where you can realize efficiencies in your manufacturing costs. Just be sure these cost projections are based on solid agreements with your suppliers, rather than wishful thinking. What I’ve proposed here is based on a traditional wholesaling model – but the world is changing quickly. If you are committed to an online-only approach, integrating with your own retail location or going the multi-level marketing route, then these rules may not apply. Other entrepreneurs have been very successful blazing their own trail – but having more margin always allows you more flexibility if things don’t go as planned. Hiya, great article and came just at the right time as I start putting products and pricing on my new website. I needed reminding of this and in fact, your suggested profit margins are much higher than I was initially going for. Ideally I would love to have profit margins that high, but I think the reality is that it’s very difficult to find wholesalers willing to sell small startups such as myself, products at true wholesale price. This is the first major hurdle I’m needing to overcome as I don’t have tens of thousands of dollars to put in to stock prior to even getting any orders (which is often needed in order to get real wholesale pricing, based on my experience with dealing with wholesalers thus far). This, combined with the minefield of scammy websites saying they offer wholesale pricing when in fact it’s pretty darn close to retail. Do you have any tips on this, or is it just a case of looking and asking around until you find good deals? In order to answer your question I would need to understand: are you a brand or a reseller of other brands merchandise? Or are you selling White label products that you source (presumably under your own brand name)? Hi Jeremy! I’m a brand selling white label under my own created brand name. I think it’s probably a better way to go, long term. Most businesses, and especially a product based business, require capital investment, so it may just be that you haven’t budgeted properly or raised enough funds. However, I appreciate that you’re trying to work within your current limits, and there are ways to bootstrap your way to profitability. If you are able to project a lower cost of goods/higher margins as your business and volume grow, you may be willing to forego a larger markup initially – but you should have a plan in place as to how you will eventually achieve healthy margins at scale. Ask your supplier for a schedule of pricing breaks and thresholds if you haven;t already. However, if you can’t see a path for getting to at least 50% margins on wholesale, you might want to rethink your product and/or business. You might also look at this initial run as a “proof of concept” phase, where you’re just testing the market for your goods. In that case, you should forego the idea of profit and just order a very small amount before committing to a large run. (but again, make sure you can achieve margins at larger volumes). I have a whole article on the different phases of a consumer products business here. Finally, all this is based on the assumption that you are committed to creating a long term brand presence and building a salable business. In other words, you are planning to ad significant value through your investment or expertise in marketing and branding a line of products. If your goal is strictly to be an importer and make a bit of a markup, you may succeed for a short time and make a little bit of money, but you will not be building a sustainable (and ultimately saleable) business. Eventually it will die as other people white label the same product. In short, if you can’t sell it – it’s not a real business. I hope this answer’s your question! Thanks, you’re right about all of those points. Currently working just a 9-5 job, funds are limited but have to start somewhere. I do know where to get cheaper versions of the tea I’m interested in overseas but the MOQ is fairly high. So at the moment I’m using Australian based suppliers as a ‘testing the market’ phase as you put it just to see if I can generate the interest and sales that I’m looking for. The first step for me is getting the website, branding, stock and quantity in and then optimize from there as I hopefully make more money to put in to cheaper stock. Thanks for your advice, all good help and reminders! You’re welcome Toby. Note my comment on researching your industry margins, which appears higher in the thread but that I actually wrote as an addendum to my response. I also hadn’t seen your website or business yet. Looks like you;re off to a great start! Here’s a gentleman I met through the site who has a similar model around french soap http://naturalfrenchsoap.com/ (he doesn’t manufacture his products) He’s done a good job around branding and has built a nice business. Here is a tea business based here in Canada (they are scheduled to appear on my podcast) that have built a BIG business around a tupperwear style model – selling direct through parties. Thanks! The website has to at least look the best of its type within Australia (not too hard at this point) or I wouldn’t bother. Different models like that are interesting, I’ll have to have a think about that. I wasn’t aware of that model still working all that well and thought it was more of a 90’s thing, so that’s surprising. Hi Toby, just saw that you’re selling tea ( I believe?) Margins, may be different for food /consumables. You should do some research on your industry as to what standard markup and margins are. I’m most familiar with the fashion space. Really enjoy your podcast. Especially this one. 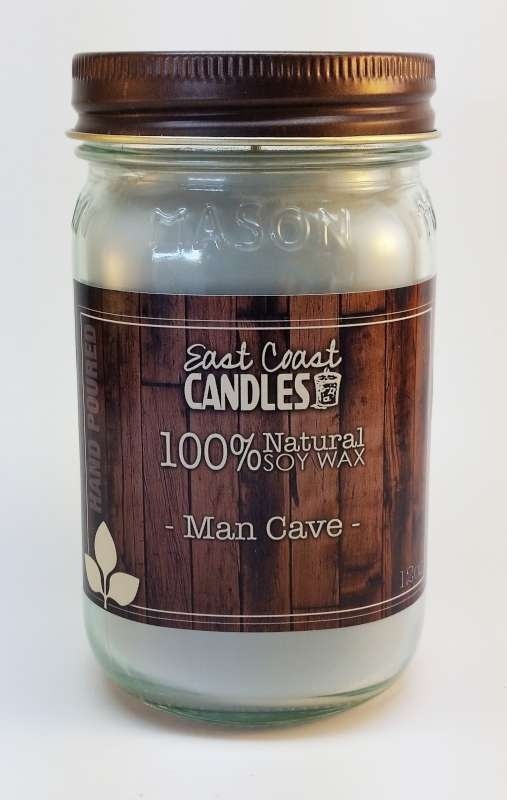 We own a small (but growing) candle manufacturing company here in Canada. We’ve done some wholesale, but need to overhaul the program as we’re receiving more and more interest. We’ve been pricing our candles from the cost up, instead of retail back. I am however disappointed you haven’t emailed me the worksheet. I’ve tried twice to download them, and both times they haven’t been sent to me. I do however receive your other emails. Hi Luther, apologies for the snafu with the email and thanks for the heads up. there are a bunch of Applications talking to each other to make that happen,so maybe it’s broken! In the meantime I will send the to your email address directly. I’m also having problems receiving the worksheet. Any chance you can email it directly to me? Thanks!